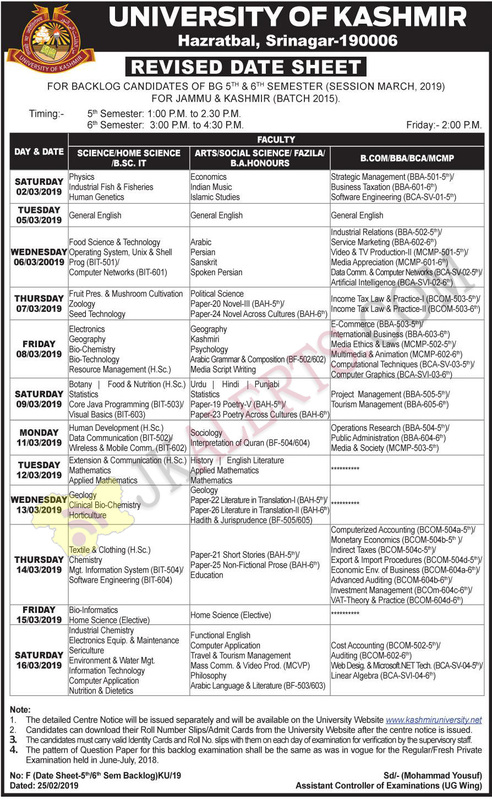 UNIVERSITY OF KASHMIR REVISED DATE SHEET FOR BACKLOG CANDIDATES OF BG 5th & 6th SEMESTER (SESSION MARCH, 2019) FOR JAMMU & KASHMIR (BATCH 2015). 5th Semester: 1:00 RM. to 2.30 PM. 6th Semester: 3:00 PM. to 4:30 PM.